Todd Solondz has made a career out of putting on display the awkwardness of normal existence and the oddities that threaten to make it less normal (or overbearingly so). But the real question is: Can he do the same thing with a dog as a protagonist? One sad, slow tracking shot over a trail of dog diarrhea later, and we have our answer. 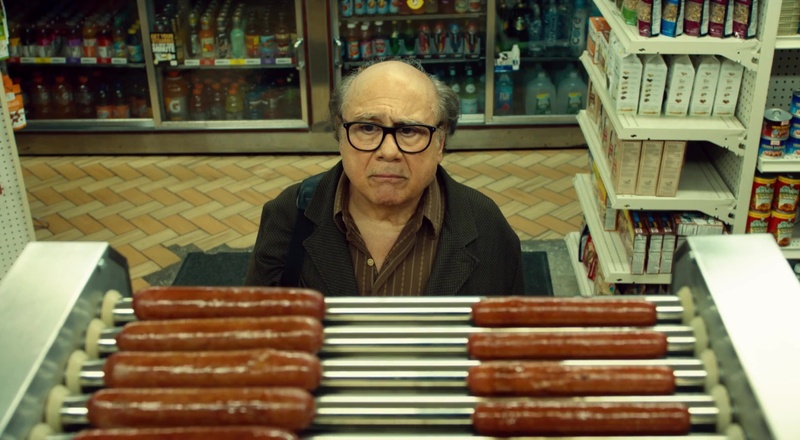 Wiener-Dog is told in an episodic fashion as the eponymous animal travels from sad sack owner to sad sack owner. There is the mishandled empathy of an Atheist family. There is the awkwardly pining veterinary assistant (Greta Gerwig) and her increasingly melancholic carpool. Etcetera, etcetera. The film itself is about loneliness. Loneliness and repetition. The movie circles back and forth in its characters’ self-destructive fascination for morbid isolation. At the same time, however, the film is about satirizing such loneliness through over-saturation. The theme can be exemplified in a conversation between two brothers (Kieran Culkin and Connor Long) in which what appears to be two different takes of the scene are spliced together so that talk of a deceased family member becomes a swirling, surreal insanity. While entrancing, this quiet swirling implosion of a discourse is more akin to a toilet flushing than anything else, disappearing and resurfacing before any real substance can be reached. Perhaps this is the purpose of the film, to make utterly absurd the triviality of unhappiness itself. It is not a poor thematic pursuit, and it is not this theme that sullies the film, although many watching the film will feel that it is. Solondz’ critical grasp on character is usually enough to make up for the viewer being hit over the head by real-world banalities that plague said characters. Here, they appear far more bland than what is necessary for this transcendence of tone. Within the structure of the film, some of these characters lack even the time to properly develop. We may get nuanced performances from the likes of Gerwig, Danny DeVito, and Ellen Burstyn, but they do not make up for the sheer bleakness of their surroundings. Bleakness, of course, is the intent, and Wiener-Dog cannot be blamed for that. But the lack of cohesion and meaning to its quiet madness leaves nothing but bleakness to hold onto. Wiener-Dog is currently available on Amazon Video to rent/buy here.